Let us do the lifting. 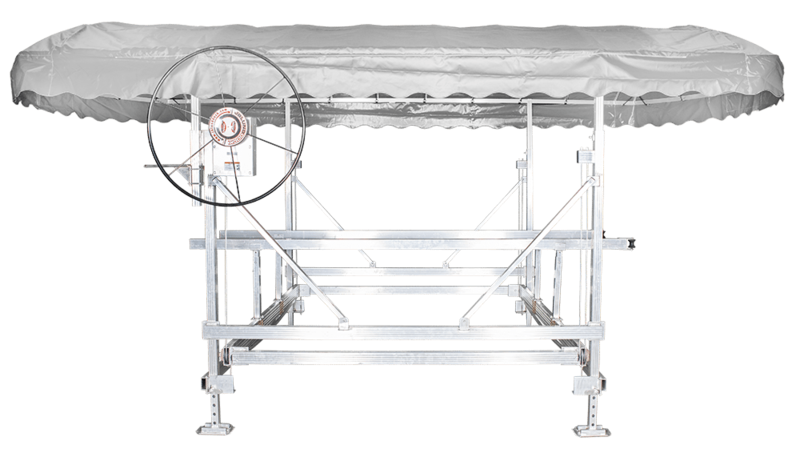 JB Lund Boat & Pontoon Lifts are constructed of sturdy aluminum and feature multiple bunk options that smoothly raise and lower your boat, without damaging the hull. 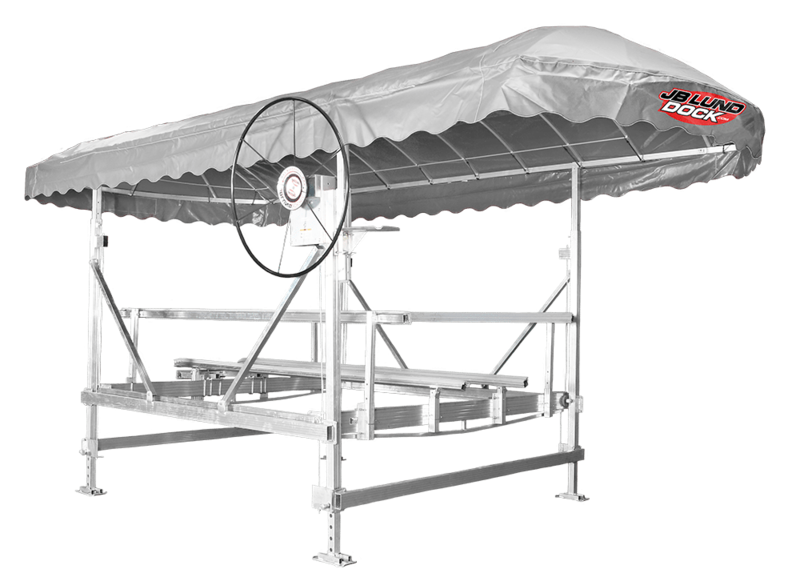 Vertical Lifts raise your boat higher than any lift on the market and are perfect for shallow lake bottoms. 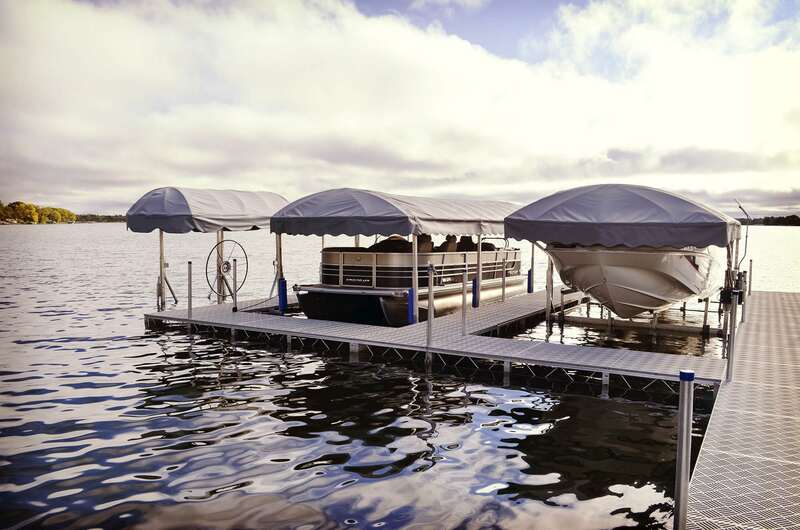 All JB Lund vertical boat lifts can be easily converted to pontoon lifts. Canopy tarps feature UV-protected vinyl and come in nine color options, adding extra protection and style to your shoreline. 1LA1266K - Cantilever PWC Lift 1200 66" 70" 72" STD = 18" (rear only) 32"
1LAV1572K - Vertical PWC Lift 1500 72" 78" 72" STD = 36" 60"
1LAV30108K - Vertical Boat Lift 3000 108" 120" 144" STD = 36"; Optional 60" 62"
1LAV48108K - Vertical Boat Lift 4800 108" 120" 144" STD = 36"; Optional 60" 62"
1LAV38120K - Vertical Boat Lift 3800 120" 132" 144" STD = 36"; Optional 60" 62"
1PLAV38120K - Vertical Pontoon Lift 3800 120" 132" 168" STD = 36"; Optional 60" 62"
1LAV48120K - Vertical Boat Lift 4800 120" 132" 144" STD = 36"; Optional 60" 62"
1PLAV48120K - Vertical Pontoon Lift 4800 120" 132" 168" STD = 36"; Optional 60" 62"
1LAV60120K - Vertical Boat Lift 6000 120" 132" 144" STD = 36"; Optional 60" 62"
JB Lund vertical lift are perfect for shallow water application and raise higher than any lift in the market. 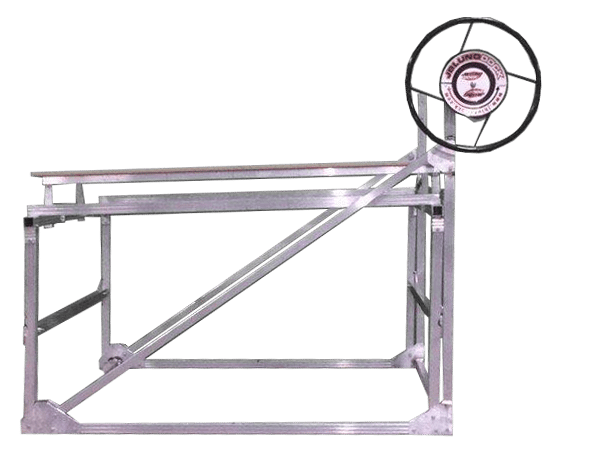 Standard length legs of 36” increase the water depth the lift can be used in. Locating the right pinhole on a submerged lift can be backbreaking work. 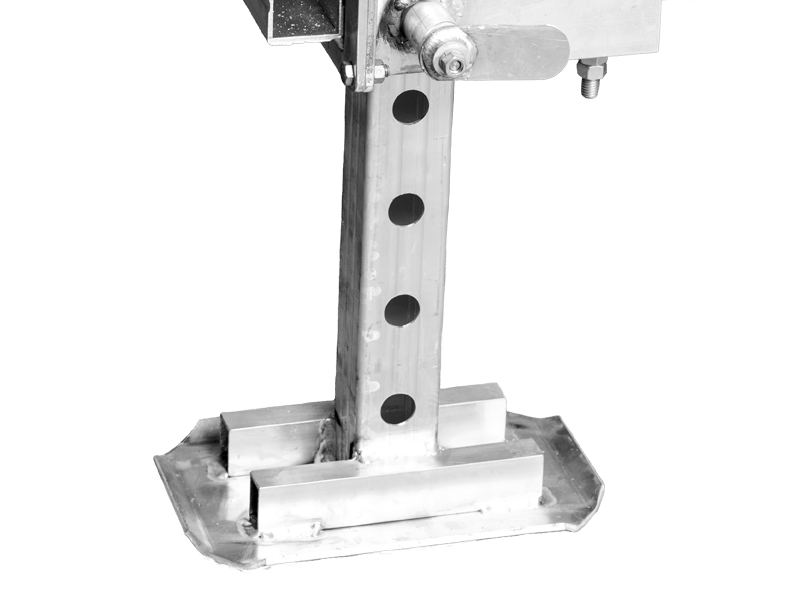 Spring Pin Leg Adjusters are an exclusive feature on JB Lund’s lifts. 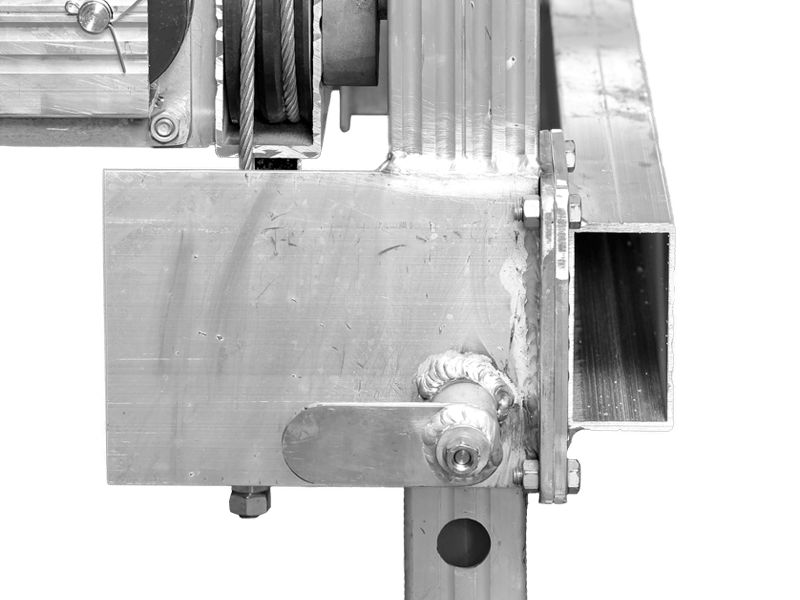 Spring loaded pins lock securely into place as you adjust the lift legs. 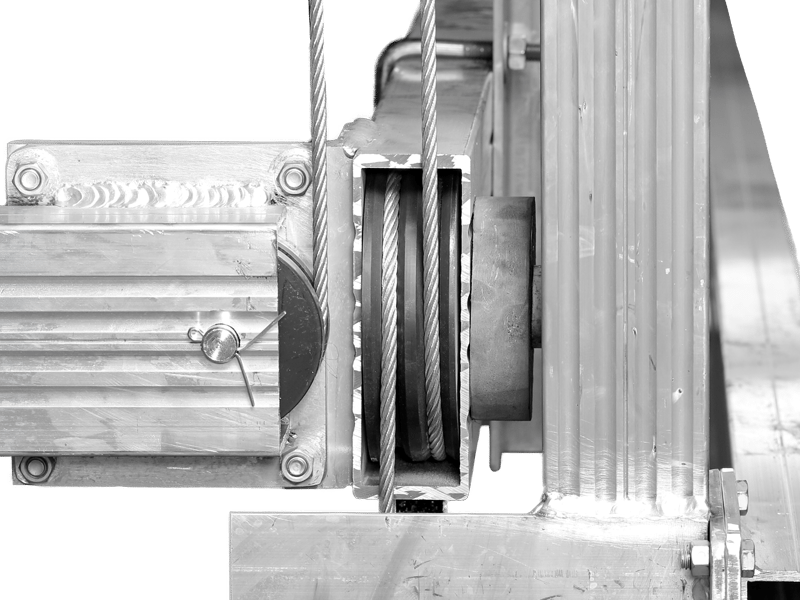 JB Lund PULLEYS are made of Moly cast nylon that have self-lubricating properties which are resistant to chemicals and have superior wear and abrasion resistance. 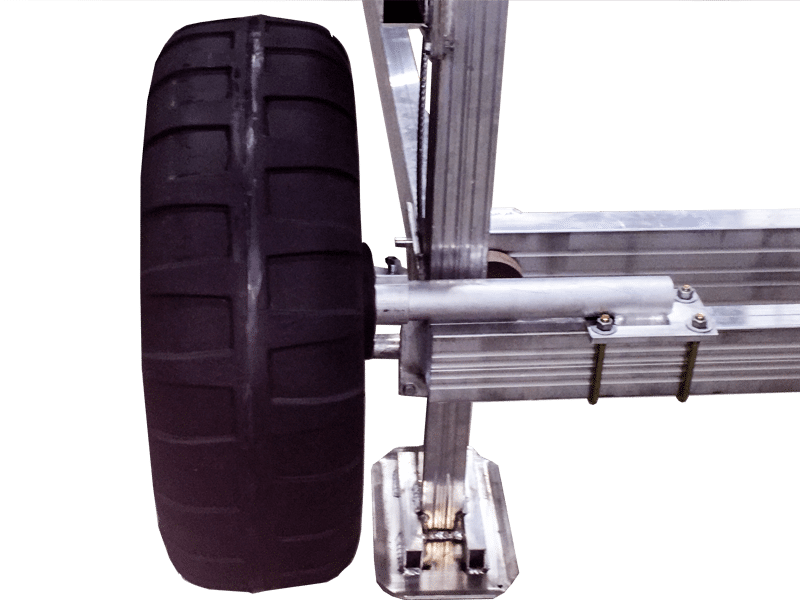 For ease of installation and removal, add a JB Lund Lift Wheel Kit. Roto-molded polyethylene wheels never go flat. Suitable for all vertical lift models.